A digital camera consists of several sensitive electronic components. The components of most of the electronic products are damaged easily by moisture and water. Hence it is advised that any electronic component should always be kept a few distance away from moisture and water. But certain equipment is so designed that it can withstand moisture and water. In certain situations the digital camera may get wet. There are several ways to dry out the digital camera and prevent it from getting damaged. But the method given below was not a success but some people found this effective. If the electronic parts have been damaged considerably and if the water content that has entered into the camera is high then the method is less effective and vice versa. All the removable parts should be taken out immediately. The parts that should be given more priority are the memory card and batteries. But certain digital cameras are not installed with memory card. The electricity is supplied by the batteries to the digital camera. The presence of moisture and water short circuit the camera which can be blocked if the battery is taken immediately after the digital camera gets wet. The memory card is the storage space of the digital camera. Its stores all the videos and images taken by you. In order to save these images and videos the memory card should be removed at once the camera gets wet. The water should be wiped out completely. 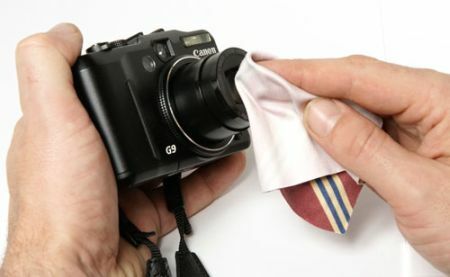 This can be done by using a dry cloth or towel or tissue to remove the excess moisture or water content from the camera. You can also bury the camera in large amounts of rice grains. The camera should be placed in a bowl or container at the center. The rice grains should be poured inside the bowl with the camera kept in it. This should be done till the camera is fully inside the rice grains. The moisture and water are absorbed by the rice grains. This should be kept foe one day till all the water is sucked by the rice. The memory card and batteries are inserted. The memory card and batteries can be inserted if the camera has become completely dry. The camera is switched on. if it is working then this method is a success. If it does not work out then the camera has been totally damaged by the moisture and water. Then your camera should be taken to a near service centre and it should be checked by some professional. If only certain parts should be repaired then you are lucky. Else you have to get a new camera. But still if your camera doesn’t work don bother too much with it. Just leave it aside and get a new camera. From next time use it with extra care when you are near water or any liquids. As you know, prevention is better than cure.